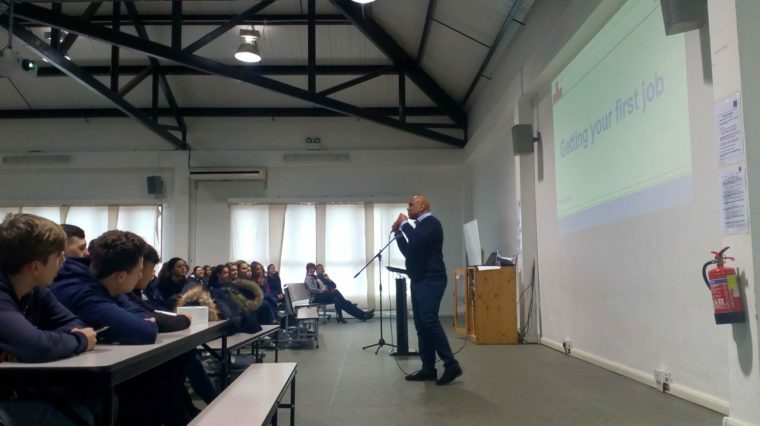 On 26 February our bi-annual Kusuma University Talks took place at Westside School in Gibraltar. Over 200 year 12 students from Gibraltar College, Westside and Bayside Schools participated in the event with our guest speakers Derek Browne from Entrepreneurs in Action and Jane Marshall from Optimising Futures. The entertaining and motivational talks included advice on how to chose a university thats right for you, what courses to study, what to include in a personal statement (and what not to include! ), aiming high and seizing every opportunity that comes your way, and personal anecdotes about university and entering the world of work. In the afternoon students were given the opportunity to hone their interview skills and develop their confidence and creativity in interactive workshops. Read more about our University talks here.